A high-ranking Shelby County prosecutor was publicly reprimanded by the Tennessee Supreme Court late last month for what some say amounts to hiding evidence in a murder trial and his office said they don’t plan any disciplinary action against him. Shelby County Assistant District Attorney Thomas Henderson pleaded guilty to violating Tennessee Supreme Court evidence rules and was censured by the body on Monday, December 23. 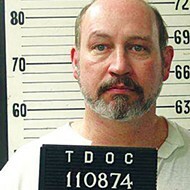 “While prosecuting a capital murder case in 1998, and again in 2004 during a retrial, Mr. Henderson responded to the discovery in a manner that did not make timely disclosure of all exculpatory evidence,” according to the release from the Board of Professional Responsibility of the Supreme Court of Tennessee. Larry Buser, a spokesman for Shelby County District Attorney Amy Weirich’s office, said flatly that his office plans no reprimand for the attorney. A censure is a “rebuke and a warning to the attorney, but does not affect the attorney’s ability to practice law,” according to information released by the court a week after the censure on Monday, December 30. At the center of Henderson’s censure is the capital murder case of Michael Rimmer, who was convicted for killing motel clerk Ricci Ellsworth. The victim’s body has never been found. Rimmer was originally convicted in 1998 and again in a 2004 re-trial. Henderson served as prosecuting attorney in both cases. The 2004 re-trial was granted because a judge ruled that Henderson had suppressed evidence in the original trial. Rimmer, now a death row inmate, will get a new trial in July as a judge ordered that it was likely that Henderson had suppressed evidence that could have helped Rimmer’s defense. Rimmer’s attorneys have requested a special prosecutor to be brought in for his new trial.